Other iOS apps grabbed all the glory and headlines on Wednesday, but Apple’s update efforts didn’t end with GarageBand, iMovie, and the mobile version of the iWork suite. While Apple was publicly singing the praises of iPhoto, it was quietly rolling out minor updates to five other iOS apps, aimed at getting them ready for next week’s iPad launch. The latest versions of iBooks, Remote, Find My Friends, Find My iPhone, and iTunes U all add Retina display support. Clearly, that change was made by Apple with an eye toward the March 16 arrival of the iPad and its improved display. The latest iPad boasts a a 2048-by-1536 pixel display—that’s a million more pixels than a 1080p HDTV—and Apple clearly wants its apps to take advantage of that, whether it’s for reading an ebook, locating your iOS device, or checking up on course material. Beyond Retina display support, iBooks 2.1 sports the most significant changes. The update to Apple’s e-reader adds the ability to use your finger as a highlighter when swiping over text—not just in optimized ebooks but in standard ebooks as well. You can also now search for a page number to jump to a desired page with just one tap, according to iBook’s release notes, and for some books, page numbers of the electronic version will match those in the printed edition. The app promises unspecified stability and performance improvements as well. Remote, Apple’s app for transforming your iOS device into a remote control, also adds an additional feature besides Retina display support. 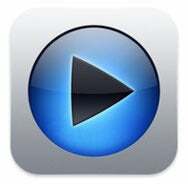 Version 2.3 now supports the cloud-based iTunes Match service on the Apple TV. While not specifically called out in the release notes, the Remote app’s Songs listing once again now sports an index of letters on the right-hand side, allowing you to easily jump to tracks that start with that letter. As for Find My Friends 1.1, Find My iPhone 1.4, and iTunes U 1.1, Wednesday’s updates simply promise stability and performance boosts along with the added Retina display support. 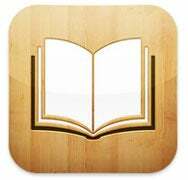 While it’s not an iOS app, iBooks Author—Apple’s tool for creating the enhanced books that you can read on iBooks 2—also saw an update on Wednesday. If you were betting that it adds support for creating books that take advantage of the new iPad’s Retina display, you are a perceptive reader. Bonus points if you also expected unnamed performance improvements to be included in the release notes. But Ars Technica spotted an interesting change with the iTunes Terms of Service related to iBooks Author—namely that “certain paid In App Subscriptions may offer a free trial period prior to charging your account.” Ars takes that to mean Apple will soon allow publishers to offer trial subscriptions through in-app purchase. While Wednesday was a busy day for Apple on the mobile apps front, the company hasn’t yet updated all of its iOS offerings in advance of the new iPad and its improved display. If you dream of watching Retina display-friendly movie trailers on your new tablet, you’re out of luck—at least as of this writing.